​Despite humble beginnings dating back nearly as far as those of the equally unassuming wine grape, the coffee bean is quickly developing a similar reputation as pretentious, confusing, and uninviting. This disappointing evolution of a simple seed is especially pronounced when one attempts to further their understanding about what makes one drink a latte and another a cappuccino. A good place to initiate this discussion, ironically, is what both drinks have in common. Simply put, both drinks hail from Europe, are a combination of three simple elements, and are delicious alternatives to one’s standard cup o’ joe. 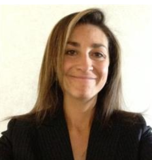 Quickly, both come from Italy and grew in popularity throughout the Industrial Revolution given the advent of coffee houses acting as a safe third-place for workers to meet and discuss issues of the day. Each are also comprised of espresso, milk, and froth; just in different amounts. Finally, as two espresso-based beverages, they offer a different mouthfeel, aroma, and taste-profile when compared to drip coffee or Americano-like drinks. Now, onto the differences between the latte and cappuccino. The Latte, or: caffé latte, caffelatte, caffellatte. The various names for this one single drink are enough to throw most consumers into confusion and land them in an off-putting conversation with a condescending barista. In order to avoid this sort of confrontation, a little background is necessary. The history of the latte dates back nearly 300 years to the birthplace of coffee: Italy. The Italians as well as many other European cultures took to adding milk to coffee as a sort of breakfast. The commercialization of the latte, however, was strictly an American endeavor with variations on “milk coffee” including additional flavors courtesy of Monin syrups and Ghirardelli chocolates. Other variations include those around frozen drinks with whipped cream (i.e., Frappuccinos) or those over ice. The more traditional hot beverage is now easily modified to include different types of milks such as skim, two percent, soy, almond, and many more. When building a latte, and like a cappuccino, the most essential ingredient is the espresso base. This goes for any variation be it frozen, iced, or hot. The ideal amount of espresso depends on the size of the drink with one shot being more than enough in eight to 12-ounce beverages and two shots proving more fitting for drinks of 16 ounces or more. After this bedrock layer comes the defining feature of the latte: milk. The milk must be heated to at least 140-degrees Fahrenheit, but not to exceed 180-degrees. When steaming the milk, and this is in stark contrast to the cappuccino, there should only be a maximum of six seconds of frothing followed by just enough heating to reach the ideal temperature. Or, and in other words, only listen for the hissing or whirring sound with bubbles building up and frothing for three to six seconds and then cease the creation of foam in favor of texture. When it comes to the texture of a latte, aim to create a whirlpool effect during the steaming process. 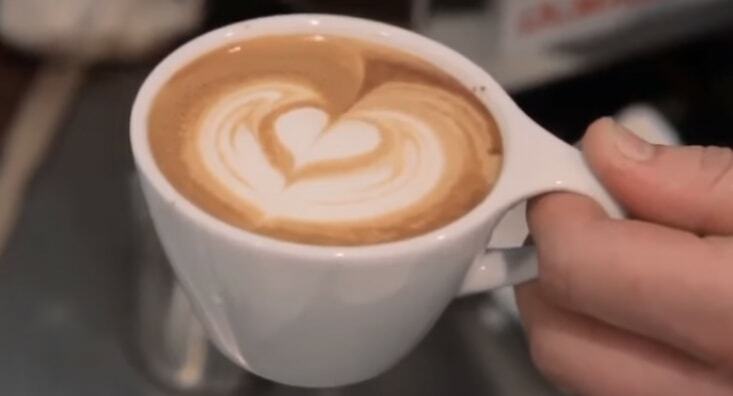 This technique will yield approximately 20 percent espresso, 60 percent textured milk, and 20 percent foam for the end product. The pour is the next element that distinguishes the latte from the cappuccino. With the cup, or receiving vessel seated flat on the counter, pour the steamed milk so that the textured product flows out followed lastly by just that 20 percent of foam. This is where latte art comes to bear and novice baristas can try their hand at making faces, hearts, and much, much more. Check out our vanilla latte recipe here. 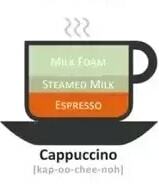 While the terminology and history of the latte can be a bit confusing, the cappuccino is a straightforward drink when it comes to naming conventions and origin stories. To wit, the drink is named after a particular friar, or monk, that happened to be wearing a corresponding shade of brown and red when the drink was first poured in the late 1600s. As with the latte, this drink and friar both originated in Italy and quickly spread further afield into Central Europe. The Austro-Hungarians and Germans referred to the drink as the “kapuziner”, but the initial naming stuck as it means hood and links directly back to the coffee beverage that exploded in popularity in the 19th century. In comparing the creation of a cappuccino to that of a latte, the most essential ingredient remains a solid espresso base. When making the espresso, be it with an industrial- or commercial-grade machine, always look for that friar’s ‘hood’ color of red-brown with a few bubbles indicating a crema has formed on the top of the shot. Quickly, and even though we have friendly reminder guides available here, an espresso shot should measure 2-ounces and take no more than 30 seconds to pull. If it is less than that, then do take care to decrease your grind setting so that the coffee grinds are more sand-like and, so, will decrease the flow of extremely hot water (205-degrees Fahrenheit is the average) through the beans. If the shot takes more than 30 seconds, then dial your grind settings up so that the water runs more smoothly through the coffee. Another quick reminder when pulling an espresso shot is weight as the grinds should weigh between 14 to 16 ounces and be tamped so that there is no channeling, or errant water, working its way through the beans in an uneven manner. Now, as with the latte, the milk is the signature, defining element of this drink. Often, and especially nowadays, one might hear a coffee snob asking for a ‘dry capp’ or a ‘wet capp’. The difference is ignorance as the latter is a latte and the former is an extremely poor version of a great traditional drink. In making a standard cappuccino, and in comparison to the latte, the milk needs to be frothed for much longer than three to six seconds. The drink vessel must ultimately contain 30 percent espresso, 30 percent milk, and 30 percent foam with the final 10 percent coming by way of a dash of chocolate or other garnish. As with the latte, listen for the hissing and whirring but ensure that on visual reference the milk in the picture has doubled in size and only then begin to whirlpool the milk to the lower end of the 140- to 160-degree range. 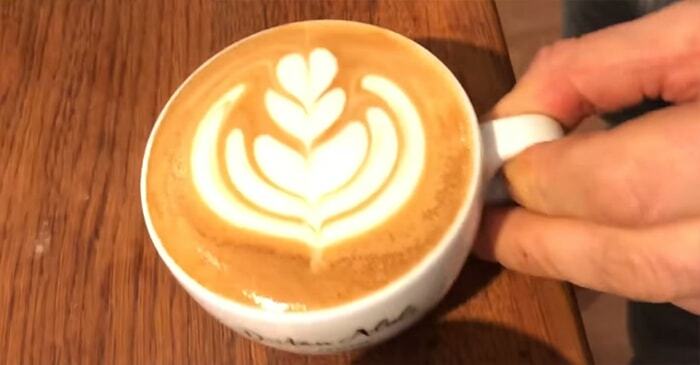 The final pour will look much different from the latte in that the cups need to meet one another so as to form a 45-45-90 triangle, but on its side. In other words, and going back to the visual reference of monks and hoods, think of a church roof and imagine both the receiving vessel and the pitcher of milk as two sides of an opposing roof. Then have them meet at the steeple so only a minimal amount of milk flows out followed by mostly foam. Sadly, there is no real room for art save the garnish of chocolate, which is much appreciated the world over. Cappuccinos and lattes are not as mystical as some cafés and coffee houses might lead one to believe. They are both, simply, espresso-based drinks that differ only in the amount, texture, and temperature of milk each contains. 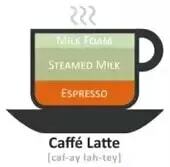 In other words, the latte should have 60 percent textured milk with only 20 percent foam whilst the cappuccino should be equal parts warm milk and foam (30 percent and 30 percent). The latte is much more diverse in its sugary offerings and can be modified to contain Monin syrup flavors, hints of Ghirardelli chocolate and lots and lots of foam art. The cappuccino is very traditional, however, and should be savored at a consistently warm temperature. In conclusion, however, neither should come off as better than the other or result in a tiff with a barista or friend as both have elements and qualities that are as unique as the person consuming the beverage.